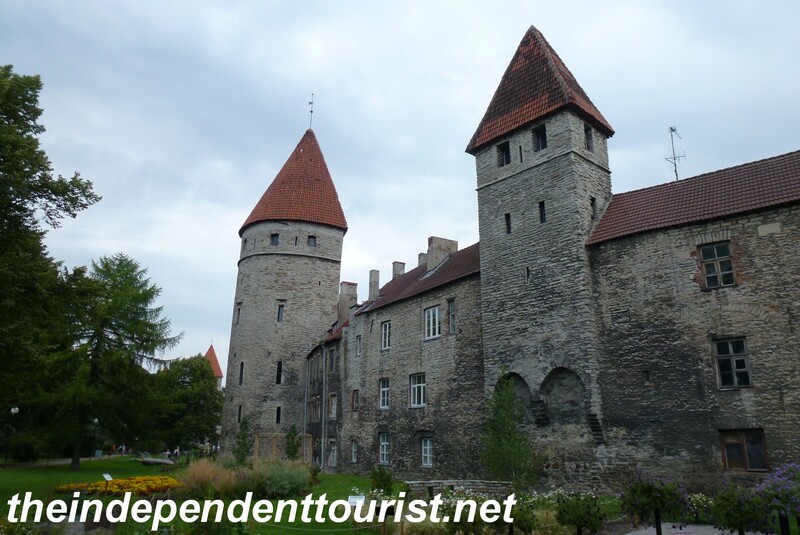 If Tallinn were located in France or Germany it would be overrun with tourists. 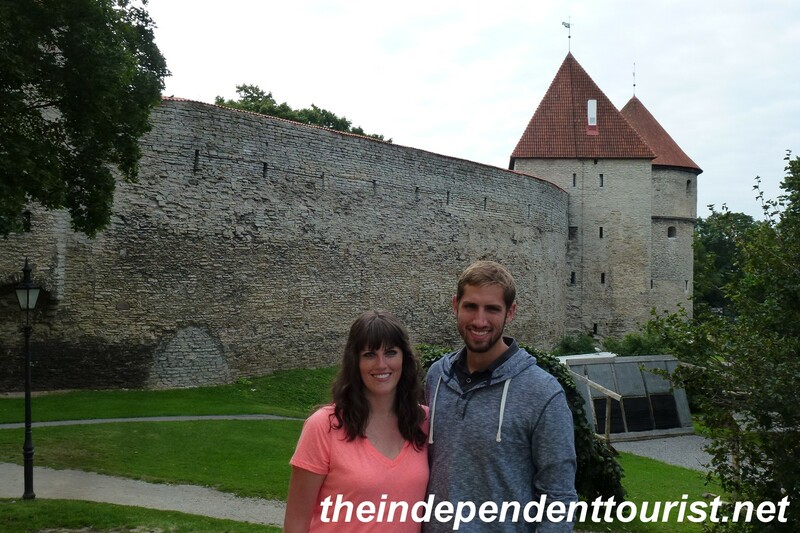 Since it’s on the Baltic coast of Estonia, most tourist traffic comes via cruise lines and only over the summer, which is how and when we visited in 2013. 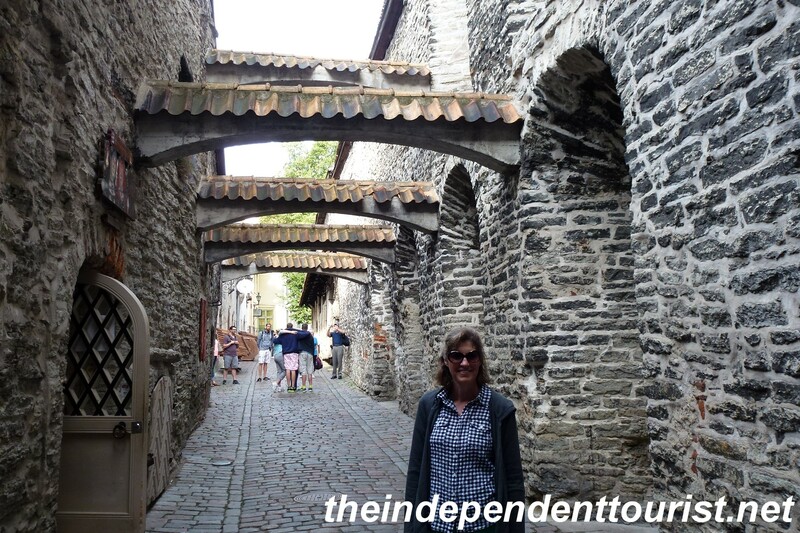 I love historical places and Tallinn is high on my list of great medieval towns. It’s also a UNESCO World Heritage Site. 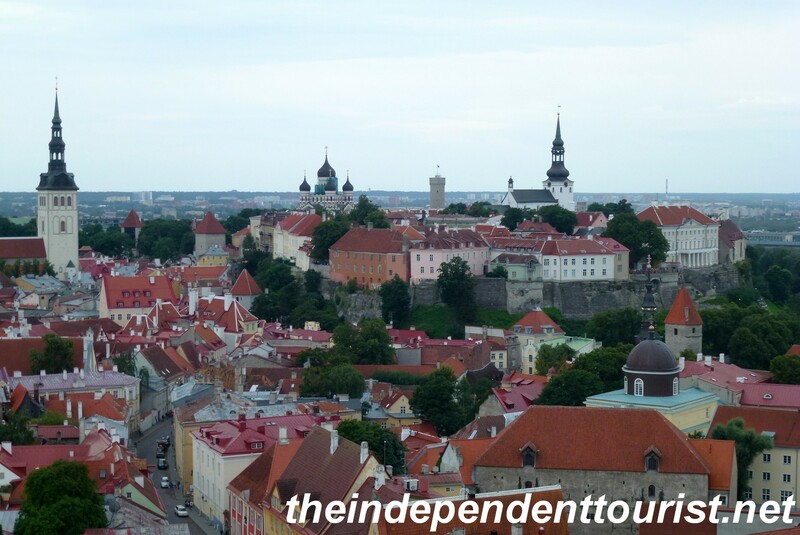 A view of Old Town Tallinn (Toompea Hill) from St. Olav’s Church (described below). The city was founded in 1154, and the historic part of town hasn’t changed much in over the past 600 years. Old Town is about a 10-minute walk from the cruise ship pier and has a number of things to see (including one of the weirdest tourist sights I’ve visited). 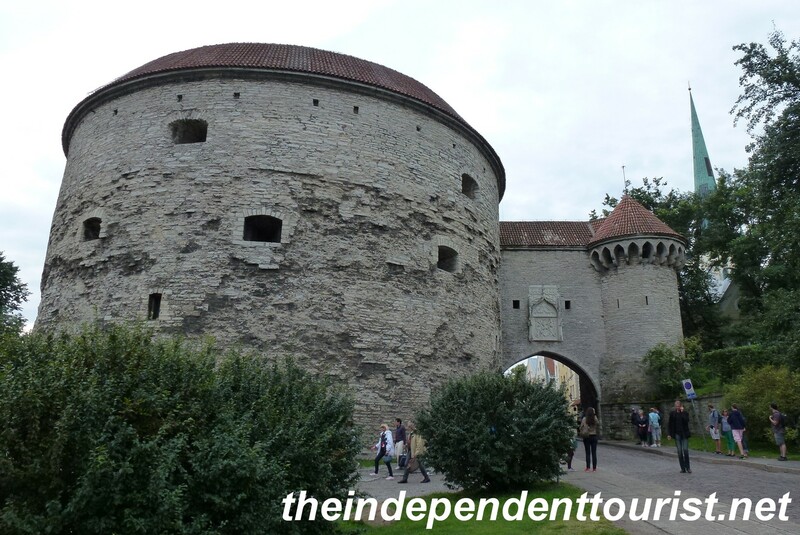 The Old Town is walled with a number of towers, gates and narrow streets. 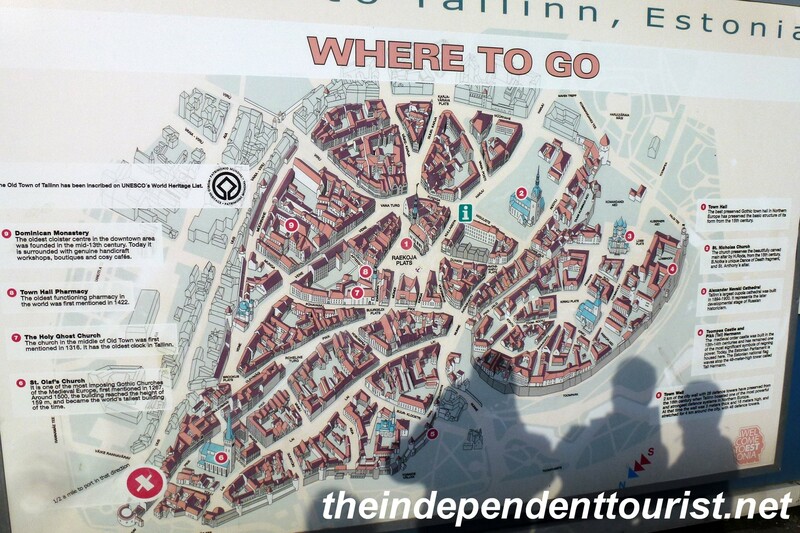 A large map of Tallinn Old Town greets cruise ship visitors. Toompea Hill. 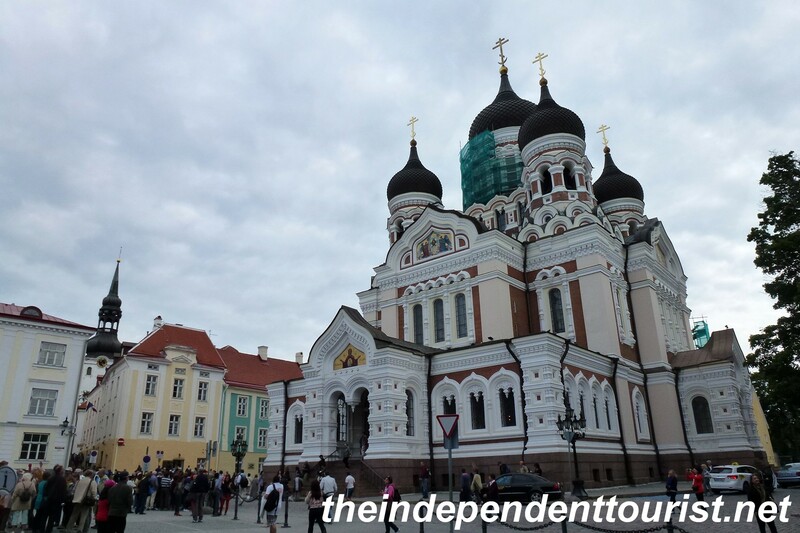 The “Upper Town” is the setting for Tallinn’s oldest church (St. Mary’s Cathedral), a Russian Orthodox Cathedral (Alexander Nevsky Cathedral) and Toompea Castle, which is the home of Estonia’s Parliament. The Hill provides great views of the Lower Old Town. Exterior view of the Cathedral of St. Mary, Estonia’s main Lutheran church. Originally built in 1233. The interior of the Cathedral of St. Mary. The Alexander Nevsky Russian Orthodox Cathedral was built in 1900, and although it’s not ancient, it has a number of beautiful mosaics and is a testament to Russian influence in this country. Town Hall and Square. 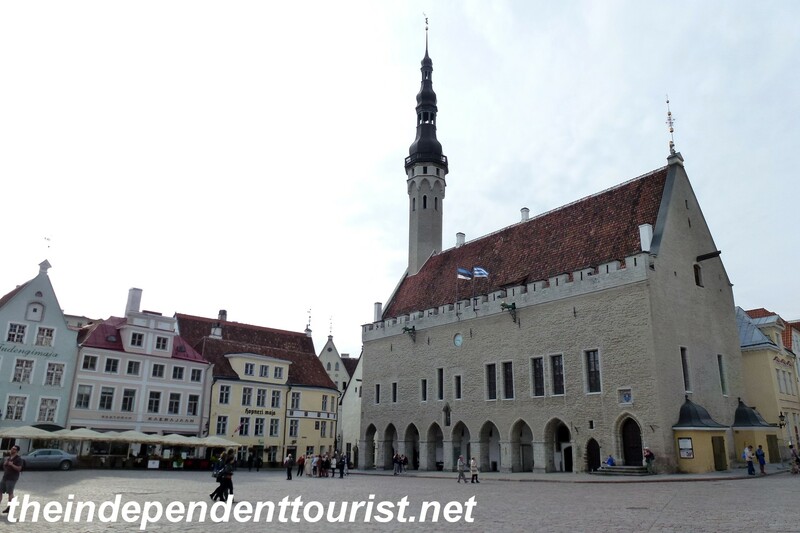 The Town Hall as built in the early 1400’s and is the best preserved Gothic town hall in Northern Europe. The Town Hall and Square. The center of Old Town Tallinn. Old Town Walls and Towers. Two kilometers of the old walls are still standing. 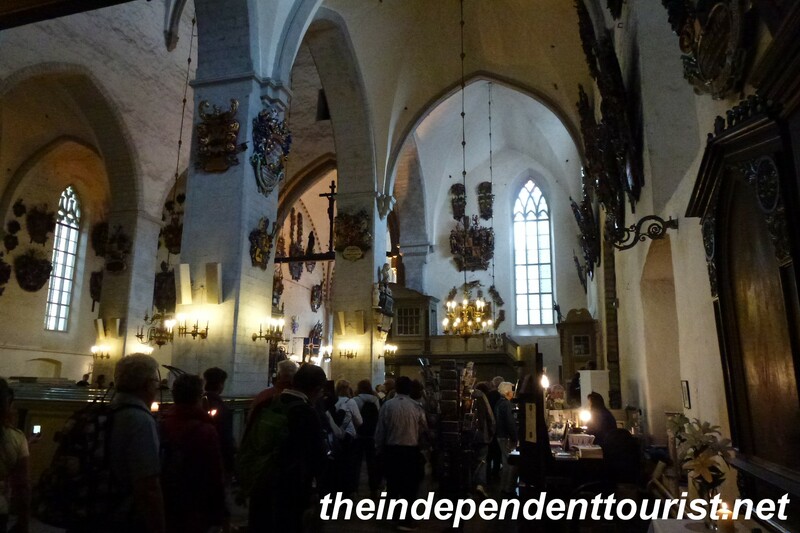 Just walking around these walls is a pleasure, and several towers are open as small museums, with underground passages that can be explored near Toompea Hill. Fat Margaret (or Stout Margaret) Tower. This is the first sight most visitors see, the tower guards a main entrance into the Old Town and is now a Maritime museum. Part of the Old Town towers and walls, an area called Towers Square. My daughter and son by another part of the walls. The walls are 4 meters wide in this area. Old Town Streets. It’s worth just wandering the streets to see what you come across – there are many lovely shops and old buildings to wander around. 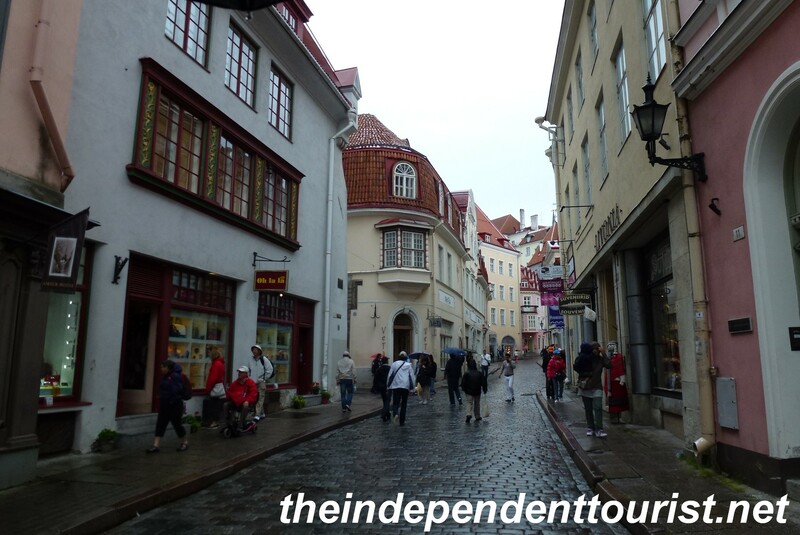 St. Catherine’s Passage, one of Tallinn’s most picturesque streets and home to St. Catherine’s Guild, a collection of craft workshops housed in 15th -17th century rooms. Street scene in Old Town, Tallinn. 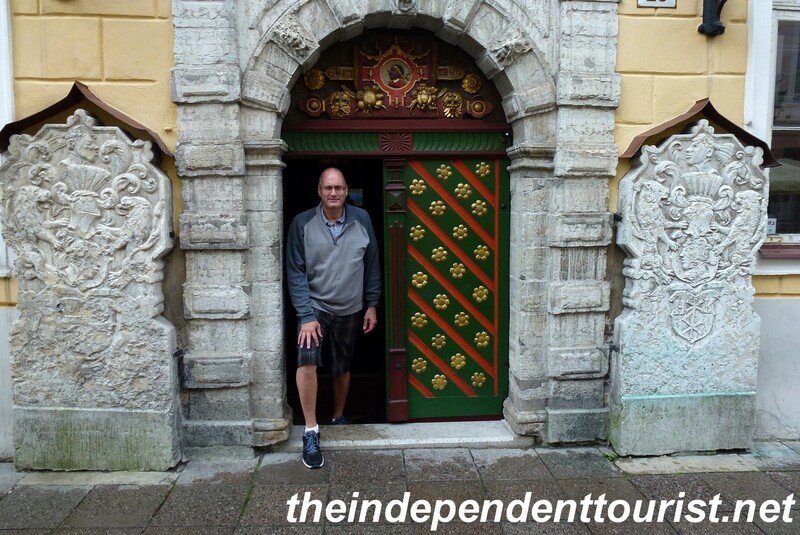 The entrance to the House of the Brotherhood of the Black Heads, a guild of unmarried German merchants that had responsibility for the town’s defenses in medieval times. St. Olav’s Church. For about 75 years (1549 – 1625) this 14th century Gothic church was the tallest building in the world. You can climb the tower for great views of the Old Town and surrounding area. The spire is 124 m (406 ft) high. View of Tallinn’s walls and towers from Toompea Hill. St. Olav’s Church has the tall spire on the right. 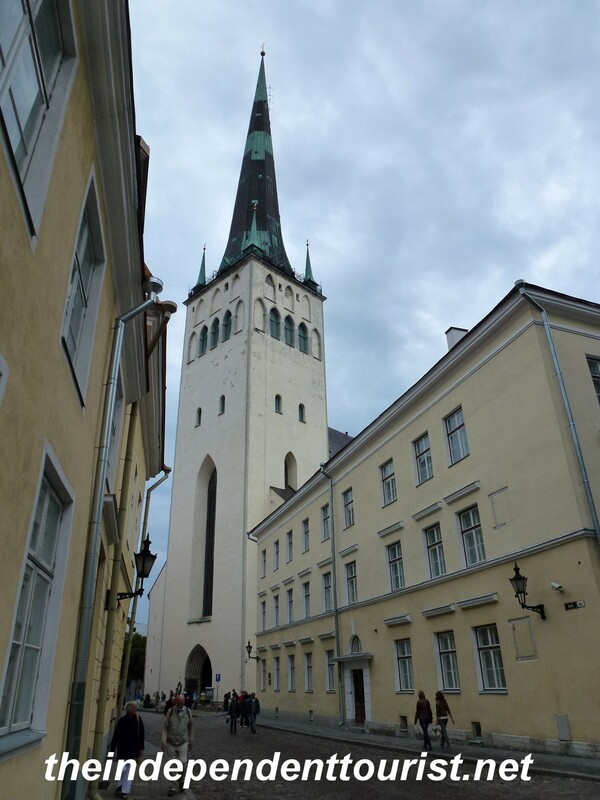 St. Olav’s Church – it’s hard to get a good picture – such a tall building in a compact space. 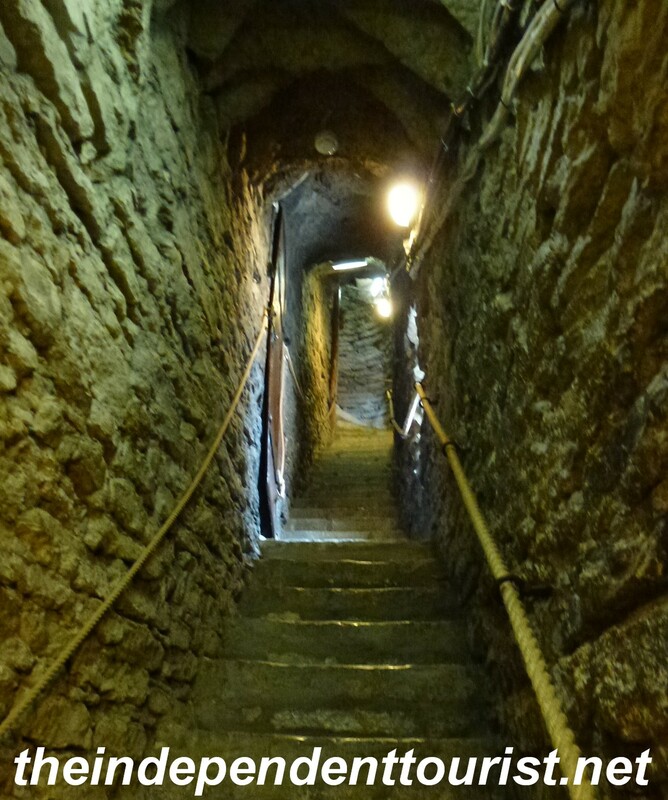 Taking the stairs up the tower at St. Olav’s Church. Patarei Prison. This fortress, which was turned into a prison in 1920, warrants its own blog post. 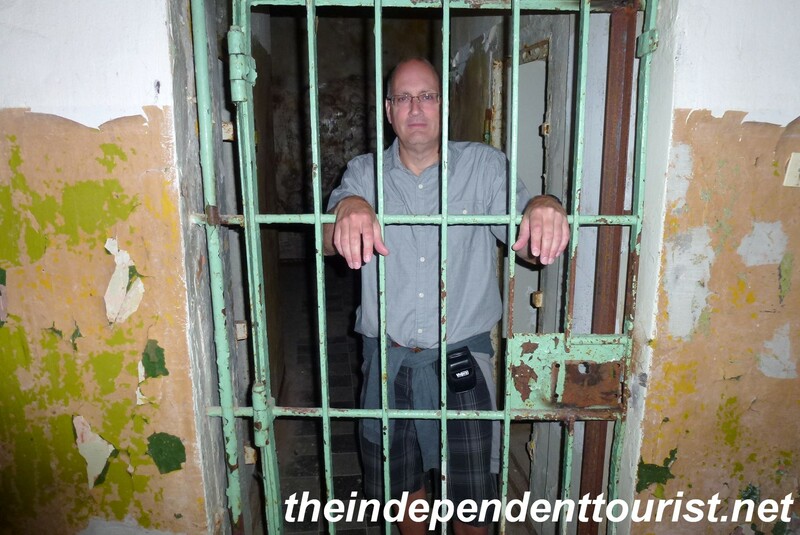 It is about a 15-minute walk from the Old Town and inside it looks like the prisoners just walked out – bedding, books and all kinds of things were left behind. The prison was closed in 2002 and is now a museum (of sorts). More to come on this fascinating place! My new cell at Paterei Prison! 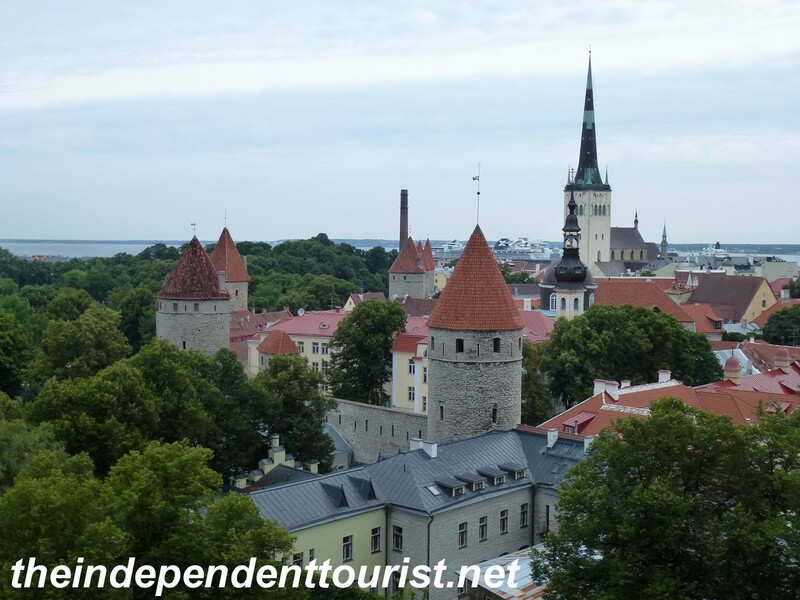 Posted in Estonia and tagged Best Medieval Towns in Europe, Estonia, Northern Europe Cruise Ship Destinations, Tallinn on August 5, 2014 by Paul Terry.